Give yourself and your guests a grand entrance! The Bay View Series of patio doors offers su-perior technology, energy-efficiency, and style that cannot be found anywhere else. Patio doors are the link between your home and the outdoors, and we believe that a good patio door should be equal to both the charm of your home and the splendor of the great outdoors. 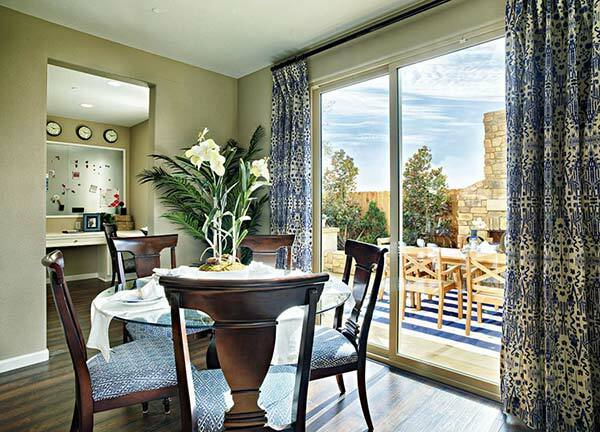 The Bay View Series of patio doors is the most innovative on the market. They offer unparal-leled form and function, and Northwest Exteriors is here to make sure that you can enjoy all of the benefits. With our award winning customer service and master craftsmanship, we guaran-tee that you will get the patio door of your dreams at the very best value. 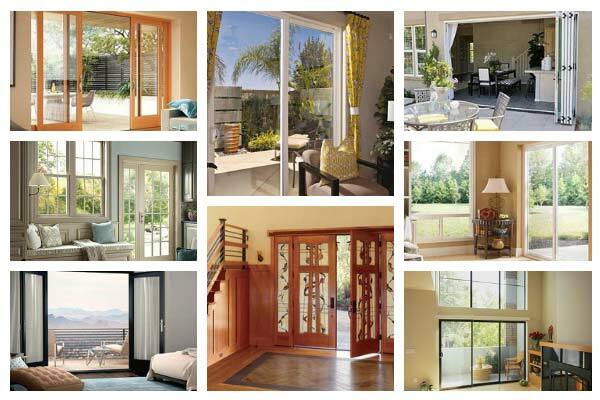 Anlin doors complement their window systems and can be purchased as sliding doors and swinging doors. Oh, and don’t forget the very special in glass pet door, perfect for the dog or cat of the house. Then, our customers may also choose from Anlin’s luxury and premium series doors. 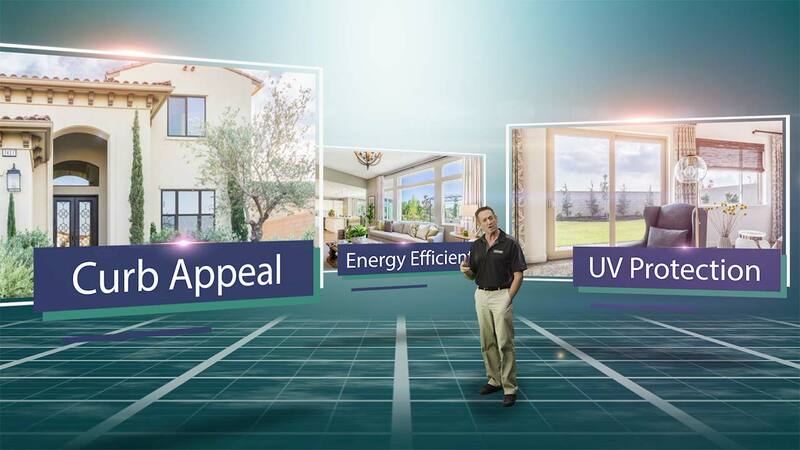 As with their windows, Anlin offers the same amazing designs, energy saving technology and quality. Additionally, the Anlin doors include the same warranty – the most inclusive in the industry. The Anlin sliding patio doors are built to look good and operate smoothly for a lifetime. Even the screen doors have a frame and includes metal reinforced corners. The swinging patio doors are manufactured to swing towards the inside or the outside, and they may be paired with other fixed and swinging door side panels to create a perfect design between the interior and exterior of your home. No home is exactly the same. That’s why the Bay View Series offers a wide range of options so that any homeowner can find the perfect fit. 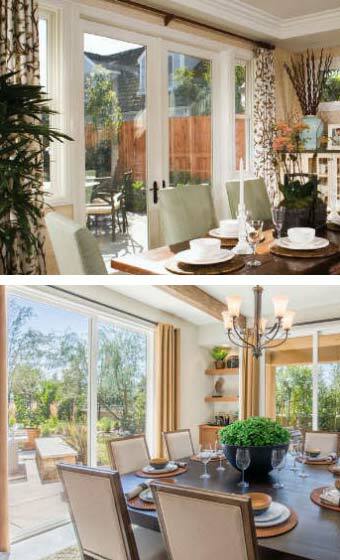 The Bay View Series includes slide-operation doors, inward swinging french doors, and out-ward swinging french doors. No matter what operating style you choose, a variety of glass op-tions and grid styles are available to accentuate the beauty of your home. You will also have a selection of frame options, rail styles, and hardware styles to bring the door of your dreams to life. The frames of these beautiful patio doors come standard in your choice of white or tan, but you’ll also have the option of upgrading to Bay View’s patented EcoCool reflective paint. Eco-Cool paint reflects solar radiation back outside, and since there will be less heat entering your home you will not have to spend as much money on your heating and cooling bill. Not only will your home become more energy-efficient, you’ll also be doing your part to save the environ-ment! The Bay View Series of doors is a favorite among pet owners and animals alike. Installing the optional Freedom+ Pet Door offers perks that inferior brands simply cannot live up to. Humans will appreciate the heavy-duty frame, magnetic seal, and weatherstrip to keep the elements out. Even if you choose to install the Freedom+ Pet door on a slide-operation patio door, the slim design won’t prevent you from opening the door all the way. You also won’t have to get up every time your dog barks to get in! There are sizing options for any dog, all the way from Chihuahuas up to Great Danes. Your an-imal friend will love the freedom to exercise and soak up the sun. You may be considering replacing your old patio door because it has been damaged or bro-ken. Even if your current patio door is in perfect working condition, upgrading now guarantees that you will not have to worry about any problems in the future. Door frames expand in the heat and constrict in the cold. This puts a lot of stress on the seals, and can lead to a host of problems such as leaking, fogging, or condensation. To avoid these expensive and inconvenient problems, the Bay View Series of patio doors have been constructed from high quality vinyl. Vinyl is a material that constricts and expands at the same speed of glass preventing wear and tear on the seals. Your door will stay strong and sturdy for years to come and you will never have to replace it again. All Bay View Series doors come standard with double strength low-e glass, a coating that is thinner than a human hair but is capable of reflecting 50% of solar heat! The low-e coating also ensures that the glass will never scratch and that you will always be able to enjoy your view outside. The state-of-the-art technology found in the Bay View Series of patio doors is where beauty, energy-efficiency, and durability all come to meet. 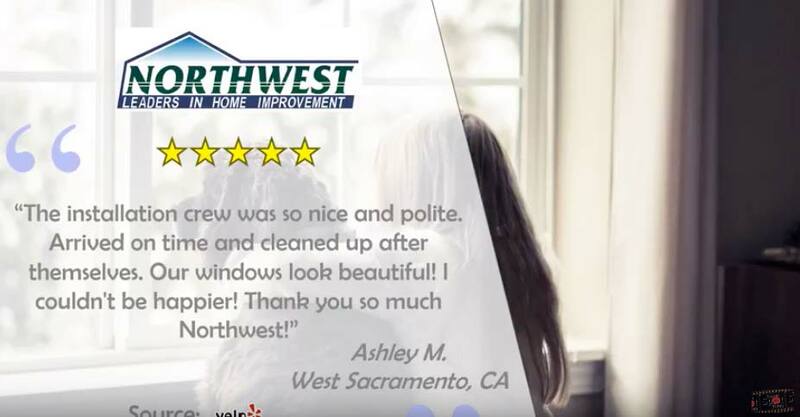 Northwest Exteriors is proud to be part of the Bay View Series’ revolutionary new technology and wants you to join thousands of our satisfied customers. Simply the best, trust Northwest! It costs you nothing to meet one of our project managers to discuss your next home improvement. NO OBLIGATION and NO SALES PRESSURE!